If you’re expecting an article that critiques and demonizes the intrinsic sound qualities of automated mastering, or tries to argue how much better a human mastering engineer is compared to automated mastering, this is not that type of article. Instead, this article focuses on facts regarding a few things that automated mastering (at this time) simply cannot do for you, and why that might be important to your project. I’m a firm believer that a project isn’t fully mastered until it’s 100% ready for distribution and production. Mastering is more than simply how it sounds. There are some other rather boring yet important technical things to consider as well to avoid unintended consequences with your digital or physical release. I actually joined LANDR Pro for a month to try it out on a few songs. The debate about whether using a human mastering engineer with analog equipment can sound “warmer” or “better” is a useless debate in my opinion. First of all, those are both relative and subjective adjectives to describe sound. Second, in a poor listening environment or subpar playback system, it may be hard for somebody with untrained ears to discern the difference between a track mastered by LANDR and a veteran mastering engineer, or care that much about it at all to be honest. I think a significant majority of people that use services such as LANDR are not those who would be using a traditional human mastering engineer for their project in the first place. How Important is Mastering Anyway? Mastering is not going to make a bad song great. I think sometimes people unknowingly put too much faith into the mastering process. If it’s not a great song, performed well, produced well, and mixed well, the mastering isn’t going to save it. Mastering is a strange art where some clients expect you to make drastic changes (usually attempts to improve on their subpar recordings and mixes), and other clients expect you to change very little and be as gentle as possible. It’s not always easy to know what a client is expecting without some discussion, and in some cases, a test master of a song or two for the project before getting started. LANDR can actually give you a rough idea of what your mix will sound like after it’s been mastered to a louder level which could be useful as you are getting close to finalizing your mix. I had heard about how affordable LANDR was, how it was devaluing the art of mastering, and how it’s ruining the business of human mastering. I don’t think that’s the case. The basic monthly plan gets you unlimited 192kbps mp3 files, but you still have to pay for 16-bit/44.1k WAV masters on a per-track basis, and pay even more for what they call “HD” WAV masters. This can actually add up fairly quickly for a full album project. It’s still likely cheaper than using an experienced human mastering engineer, but maybe not that much if you decided to get the standard WAV files and the “HD” version. I actually searched my account and the LANDR app quite thoroughly and didn’t see any sign of being able to buy the 24-bit “HD” version. Maybe this is a new feature just being rolled out and not fully implemented. Not to mention, by having these WAV files, your master isn’t necessarily ready for distribution and production. I can be quite certain that some people are only getting the mp3 versions from LANDR, and then uploading those to SoundCloud as the master source, and/or converting these mp3 files to WAV as the master source for other digital distribution services which is a very bad practice. A well encoded mp3 can sound pretty decent actually, but where you will get burned is if you convert the mp3 to WAV and submit it for digital distribution. This is sure to sound bad for the end user because the audio will be transcoded when it’s converted to a lossy format for a 2nd time by the retailer. So, you’re basically distributing an mp3 of an mp3 which can be hard to listen to. I’m not saying that this practice is the norm by any means, but I have no doubt that people are using the mp3 versions from LANDR as their main distribution master which is asking for trouble and without proper education, could become an unfortunate trend. For the sake of this article, I joined LANDR for a month and submitted a few mixes from my mastering clients so I could A/B the LANDR master vs. my own mastering. The sonic results from LANDR are not bad at all, and I felt that some LANDR results sounded better than what some mixing engineers might attempt as their “rough mastering” job before removing the limiting and loudness maximizing, and letting an actual mastering engineer do the mastering. I see all sorts of bad mastering practices from mix engineers who leave limiters and maximizers on, and don’t leave a proper ceiling to account for true peaks (different than digital peak levels), intersample peaks, and peak level increases after encoding to mp3 and lossy formats. LANDR actually does account for this to some degree, though I didn’t test their WAV masters through any mp3 or AAC encoders. I’ll save that for another time. The “medium” intensity setting on LANDR was just 0.5 LUFS louder than my master of the same song, and had a Loudness Range of 4.6 LU (loudness units) compared to my master which had a Loudness Range of 5.2 LU. I would say LANDR was fairly gentle with the mastering using the medium setting. The “high” intensity version from LANDR had an Integrated Loudness of -9.4 LUFS and a smaller Loudness Range of just 3.8 LU. The “high intensity” version sounded a bit harsh and not as pleasing to my ears as the “medium intensity” but that could be a personal preference and also related to the material. It goes without saying that a majority of bands, artists, and record label representatives opt to care more about the loudness of their material compared to some other album than the musicality of their art. The weakness of LANDR is not in its sonic algorithms and processing. They actually seem to have some intelligent and surprisingly musical processing going on. Where LANDR and presumably other similar automated mastering services fall short is delivering full album and EP masters ready for all forms of digital distribution, as well as CD or vinyl production. Basically, anything beyond a single song released in a “digital only” format has the potential to get fouled-up if the user needs to do any additional editing to the files to make them work as an album master. 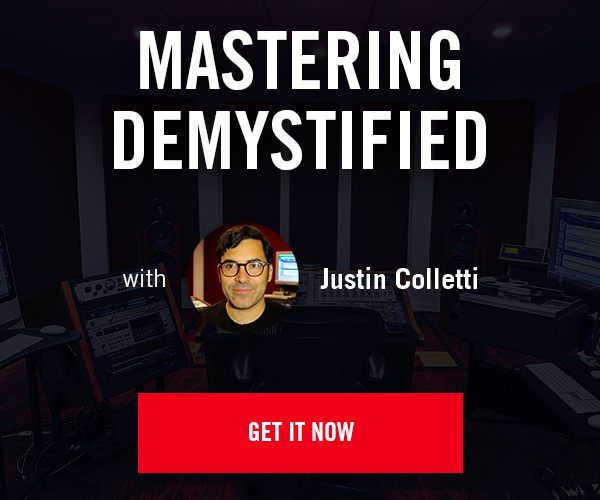 If you’re doing a CD release, digital release, and maybe even vinyl, your mastering work is not actually complete after you receive the tracks from LANDR (as of this writing). The album usually still needs to be sequenced and outputted to the correct formats for production and distribution which is where things start to get more complicated. I do a lot of work for a CD manufacturing broker and my job for them is to simply take “mastered” WAV files from their client’s “mastering engineer”, assemble them in my mastering software, sequence the WAV files in order, add track maker IDs, add CD-Text as well as ISRC codes and UPC when necessary. From there I create the DDP for CD production which needs to be approved by the client. Sometimes after hearing the DDP, clients ask me to add additional space between the songs because it’s not already built into the WAV files. Sometimes I need to offset a track ID marker from the start of the given WAV file to prevent the start of a track from being too abrupt. This is easy to do but now the CD master can potentially have different timing between songs than the WAV files they may have already submitted for digital distribution. If they export WAV files of each track from the DDP Player I provide for approval, then they will have 16-bit/44.1k WAV files that match the CD master regarding the gaps between songs, but what about 24-bit/high sample rate masters and reference mp3s? They could encode mp3s from those 16-bit WAV files exported from the DDP Player but mp3s can sound noticeably better if encoded from 24-bit or 32-bit float source. As I said, it can get messy and I didn’t even mention that it’s quite common these days to make a special vinyl pre-master with little to no limiting, less RMS level and more dynamic range. Let’s say you simply opt for the 16-bit/44.1k WAV masters from LANDR. These are audio CD quality files that are also the same format and resolution that you might need for most of the basic digital distribution outlets at this time, but not all. SoundCloud and Bandcamp have accepted 24-bit/high sample rate masters for awhile now, and Mastered For iTunes allows you to submit high resolution master WAVs as the source file for encoding before distribution. Now let’s say you are happy with the audio processing that LANDR has done and each song sounds great, but when you play the files in sequence using consumer software such as iTunes or Windows Media Player, maybe the spacing between some songs is not ideal, or you need to fade out the ending of a song or at least fade out the final sustain of an instrument at the end to shorten it a bit more or remove some extra dead space at the end. Doing this in any modern DAW will instantly change the audio stream to 32-bit float which would require you to dither again to 16-bit when you render the final DDP or master WAV files. The same is true if you change the level of a song by even a fraction of a decibel. The audio stream becomes 32-bit float and by following best practices should be dithered again to 16-bit which many people overlook and is a worst case scenario though. The best case scenario is that you never edit or alter the audio after it is reduced to 16-bit. LANDR might do an OK job of taking a group of songs and getting them all to the same loudness measurements and similar tonal balance (EQ), but that doesn’t always translate to our ears and brain as being correct. For example, you might have an album of 11 rock songs and one acoustic song. If LANDR sets the level of the acoustic song to have the same average loudness as the rest of the songs, the softer acoustic song is very likely to sound unnaturally loud in the context of the album and could also make the rock songs sound weaker than expected after listening to the acoustic track. So, why not just turn down the LANDR master of the acoustic song you may ask? Well again, if you’re doing this to 16-bit audio, you will need to re-dither to 16-bit or worse yet, truncate those additional bits when you render or save a new file as 16-bit after your changes. Dithering is something that is ideally only done one time in the mastering process, and ideally done as the very last processing step, no exceptions. By dithering more than once, or failing to do it at all you are damaging your audio in a way that will only get worse down the line when your masters are encoded to lossy formats. Distortion and artifacts can magnify quickly with digital audio if you’re not careful. The other thing that LANDR is just not set up to do is address noises, clicks, pops, and other unwanted distortions in your music. I can’t tell you how many of these types of things I hear in unmastered mixes these days. I actually do a dedicated listening pass just to scan for and remove/minimize any unintended noises in the material. Often times these things can go undetected before sending off to mastering due to poor listening conditions, inattentive listening, or a combination of the two. Also, these things can become more noticeable after the mastering processing is done where everything is usually louder, clearer, and more compressed with less dynamic range. A stray pop from a bad edit or plugin glitch could become much more noticeable after mastering. Mouth sounds/ticks are notorious for becoming noticeable and unnaturally loud after mastering. Most often when a client hears a stray noise that they insist wasn’t in their original mix, it’s often actually there if you listen closely. Either way, it’s not a hard problem to solve but it does take some extra time, plus human skill and intuition. There are some great tools out there now for fixing issues like this. iZotope RX5 is a life saver for me. The thing is that you can’t just apply the De-Noiser or De-Clicker across the entire song and call it good except for maybe the most extreme restoration cases. These tools are not 100% transparent but if they are skillfully dialed in, and applied only to the small sections that need the repair work, they can be 99.9% transparent and improve the musicality of the song when needed rather than do damage. In other words, applying iZotope RX5 De-Click to an entire song can damage the transient peaks of any percussive instruments, but if you hone in and just process the problem sections one at a time, no discernible damage is done. I’m talking about fractions of a second in most cases. The same is true for noise reduction. A song might have some excessive noise at the start or end, or maybe in a quiet breakdown section. With a sample of just the noise which is often found at the start or end of the song to use as a fingerprint for the noise reduction software, you can do some very transparent noise reduction. However, in most cases the song reaches a point where the noise is no longer an issue as it gets going and the musical elements bury the noise floor. Instead of processing the entire song with noise reduction, I often process only the intro, or just the final sustain if that’s where it’s noisy. 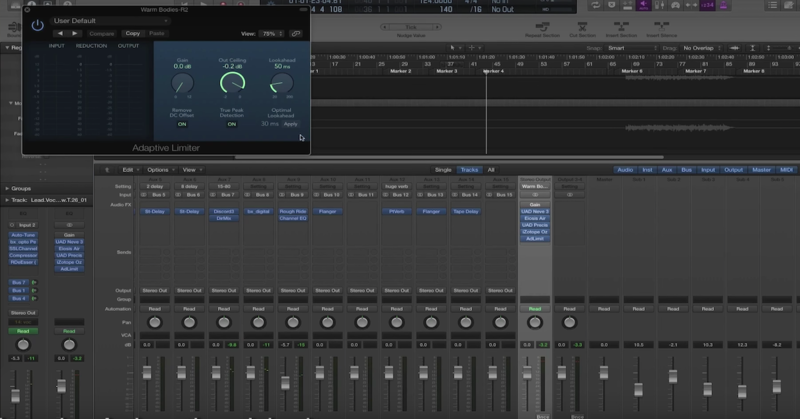 This keeps the core of the song free of any noise reduction that may harm the higher frequencies and make the song feel a bit dull or swirly in the high end. These are great examples of things that still require human skill and intuition. I intentionally submitted a song to LANDR that had a little pop at the start. Something that even a skilled mix engineer missed and sent to me, and happens frequently. The pop was still present on the LANDR mastered version, unsurprisingly. The other thing that LANDR simply can’t do is the art of sequencing an album and providing you with all the master files you might need for production and distribution such as DDP for CD production, 16-bit/44.1k WAV for basic digital distribution, and 24-bit/high sample rate WAV for websites like Bandcamp, SoundCloud, and for a Mastered For iTunes release. If you care about your album as whole, you should also care that the exact same spacing exists between songs on the CD version, and any digital release versions. If you’ve got some audio software skills, it’s not too hard to take the 16-bit WAV files from LANDR and use any of the DDP creation tools out there, but then what about your high resolution/HD master and reference mp3s? Also, if you are working with only the 16-bit versions from LANDR, and need to do any fades or level changes to songs, you run into the issue of needing to dither again or risk truncating your audio from 32-bit float to 16-bit. There is a free plugin called “Bitter” from Stilwell that you can insert in your master section and watch a 16-bit audio file turn into 32-bit audio even with the simplest gain change or during any fades. It’s important to be aware of it. As you can see, it’s easy to get into a mess if you are using LANDR to master your entire album. For single songs, you could argue that some of this is a not an issue but for projects that are more than 1 song and any processing at all needs to happen after LANDR does its thing, using the 16-bit WAV as the source can lead to issues. In the end, I compare LANDR to going through the drive-thru at McDonald’s rather than eating a gourmet meal. There are times when going through the drive-thru is called for (and sometimes delicious) but for the scope of an entire album, I think there are many details to consider that are best left to a human mastering professional. I personally take great care to make sure that there are no unwanted noises before, during, or at the end your songs, which are often easily missed in the mixing stage because there is so much more to focus on. I also take care to make sure the spacing of your songs is 100% constant between a DDP master for CD production, 16-bit/44.1k WAV masters, 24-bit/96k WAV masters, as well as reference mp3 or AAC files I make for clients. For those still making CDs, regardless of where you put your track ID, the marker placement will be quantized to the nearest CD frame when you make a CD or DDP. In some cases this could be a millisecond or less, or in some cases more. 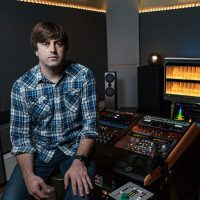 The point is that if you’re not careful, your track times can vary from a little to a lot if your album is not carefully sequenced by a skilled mastering engineer. It can get especially tricky if you have songs that overlap or a live album where seamless audio is needed. Another increasingly important aspect to mastering is metadata and CD-Text. In the bit that I worked with LANDR Pro, I saw nothing about metadata. Whether I’m sending my clients a DDP, WAV files, or reference mp3 files, I make sure that all CD-Text and metadata is correct and complete as can be, as well as ISRC codes and UPC as needed. Aside from all that, I can offer “Mastered For iTunes” compliant masters and create vinyl pre-masters that are optimized to translate as well as possible to vinyl. These are things that LANDR just cannot, at least not at this time. I would say that if you’re truly on a budget and you happen to like the sonic work that LANDR does, be sure to get the “HD” versions from LANDR which would be 24-bit WAV @ 44.1k sample rate or higher, and hire a mastering engineer to take care of all your final master formats for distribution and production. Mastering in general is about small and careful steps that can add up to something much bigger and better than what you started with.